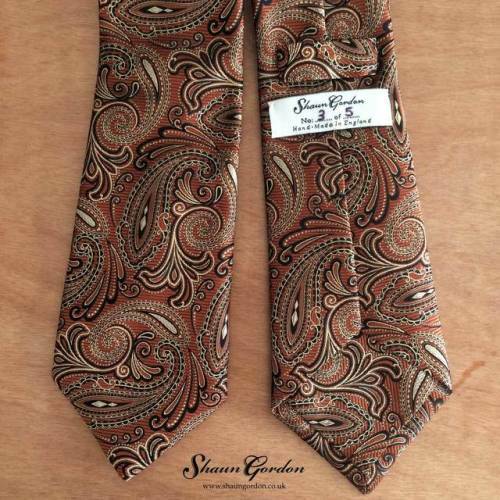 THE PAISLEY MONTGOMERY TIE WAS MADE FOR LEADERS! August 10, 2016 (Original post date). The Montgomery ties are for leaders because they need to be clearly seen for the followers to follow. 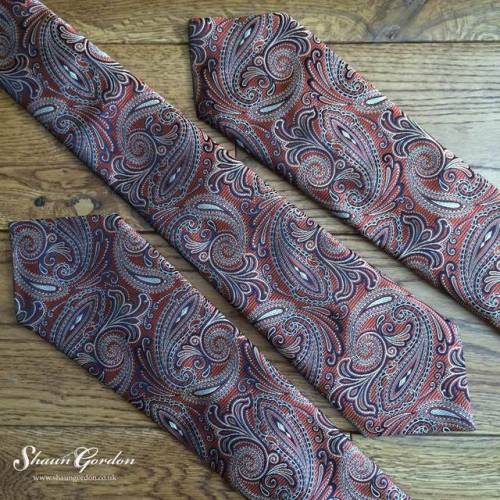 Boldness is beautiful and attractive, especially when it has a paisley pattern. For someone who likes to wear colours such as navy and black would appreciate this tie because the black outlines we will match his suit, while the copper colour stands out tastefully. This will add a noticeable difference to your style positively. The Montgomery tie was made using the self fabric as the tipping, giving it a refined sophisticated look. Five of these ties were made in total. However 2/5 and 3/5 are remaining and are available for worldwide delivery. ONLY ONE LEFT! Hurry and visit www.shaungordon.co.uk before its too late! That 3 of 5 Bronze Tie is Beautiful! back bottom of the tie you have detailed the exposed section using the paisley fabric and not a lining fabric! Looks great both Front and Back! Thank you Daisuke. Hope you are well!